There are a few different types of CEOs in the world – those who trust their team blindly and develop a lack of awareness, or those who micromanage their staff to an overpowering level. However, there is a perfect point in between those two extremes that CEOs are being encouraged to be aware of. The fastest way to lose valuable members of your team is to micromanage them. The last thing you want to do is drive away talented members of staff, due to micromanagement. When you give people ownership of their own work, they will more than likely appreciate the trust you are putting in them and work that bit harder. They will stay invested in their work, and work much more efficiently towards their goals. If your employees have constructive feedback about what’s going on in the office, you should take these comments seriously. This will not only help other members of staff but will also help you create an inviting and inspiring work environment. 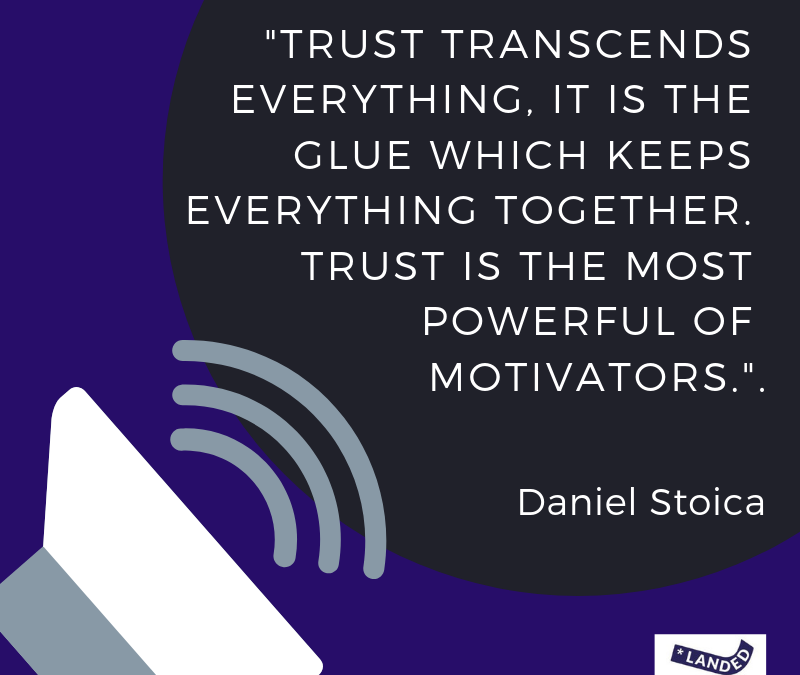 Your team members will appreciate the trust and will be excited about their projects. A follow-up study conducted by The Ken Blanchard Companies and Training magazine found that leadership communication issues continue to persist. 28% said they rarely or never discuss future goals and tasks with their boss, even though 70% wished they did. 36% said they never or rarely receive performance feedback, even though 67% wished they did. In a newly developed first-time manager curriculum, Blanchard identifies four skills and four conversations all managers need to master. How can LANDED help you find the perfect approach? LANDED allows you to monitor and track your employee’s productivity without the suffocation that micromanagement involves. Our powerful platform has multi-user access for both HR users and Hiring Managers. Our insights area provides you with access to real-time information for accurate and in-depth reporting. You can track stats like ‘average time to hire,’ and see how long it takes your hiring manager to screen candidates, interview and fill the role. What branding and marketing activities are being effectively executed? As well as daily activity and engagement tracking. To find out more about how LANDED can help you manage your HR Team more effectively get in touch today to try out our platform for free for 14 days.